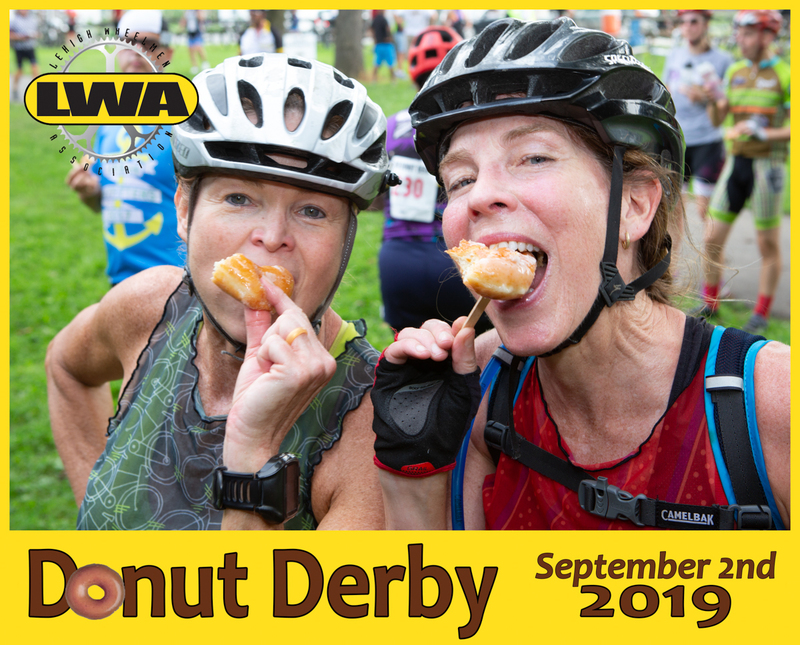 The Lehigh Wheelmen invite you to participate in the 2019 Donut Derby on Labor Day, September 2nd. The DD is a fun 36 mile race with a twist: Get a 3 minute time credit for each donut eaten at stops positioned at mile markers 12 and 24. Donut-adjusted time determines the winner in several age categories. A complementary lunch for DD racers and an awards ceremony follow the ride. Registration closes August 29th or when 350 are registered. Register early; the event sold out in 2018. Here's the gps route for the 2019 Dount Derby. After the Donut Derby your children, age 10 and under, will be able to participate in the Fifth Annual Munchkin Mile. Children will be registered during lunch at the track entrance. 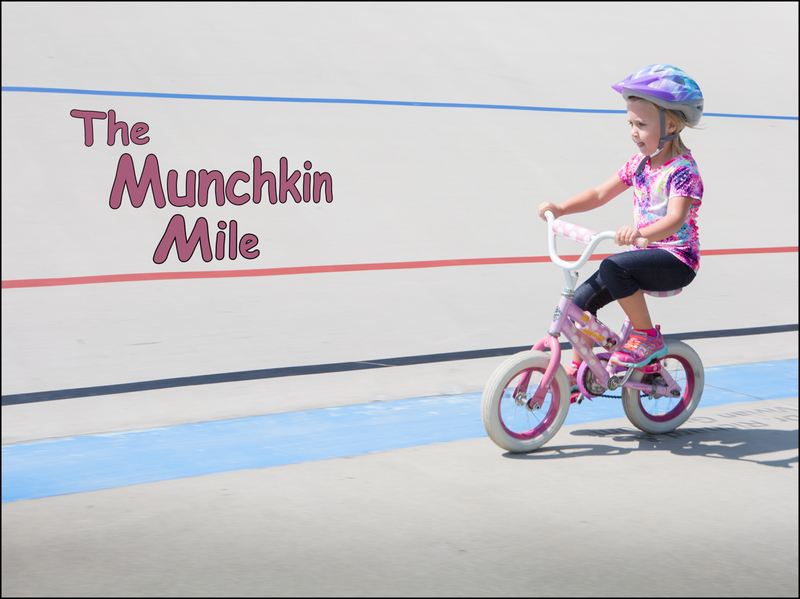 There is no cost for participation in the Munchkin Mile. 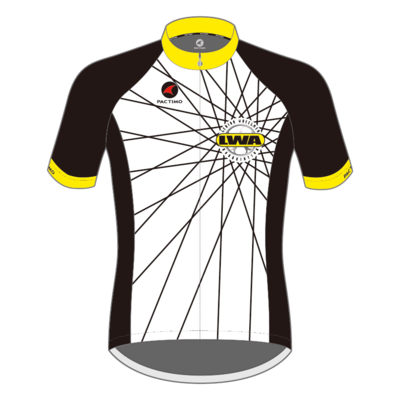 The event is limited to children of DD riders, LWA members and volunteers. Your ‘munchkins’ will be given the opportunity to ride 5 laps on the Valley Preferred Cycling Center T-Town Velodrome, home of world-class bicycle racing. For those who have not mastered two-wheelers, training wheels, strider bikes and trikes are allowed. Munchkins (the food) will be offered to keep your kids refueled. Medals will be awarded at the completion of the event.